For ten years post-Katrina, the former Lord & Taylor department store on Poydras Street served as a temporary LSU Health Clinic serving the need of the New Orleans community. When the new University Hospital opened in 2015, and LSU vacated, building owner Tom Benson was faced with an empty 115,000 square foot former retail location on Poydras Street. He turned to the Corporate Realty leasing and management team team for help. Mike Siegel was successful in negotiating an expansion of Ochsner Health Systems who was already a major tenant in the adjacent Benson Tower. With the expertise of Holly & Smith Architects, Woodward Design + Building and input from Ochsner user groups and internal architects, the building was transformed from a dated department store to Class A office space allowing Ochsner to consolidate various departments previously located in multiple buildings. Maureen Clary provided construction consulting on behalf of the ownership including contractor selection, bid negotiations and construction administration throughout the project. To transform the space from retail to office, the existing escalators were removed and replaced by a three story glass atrium and a monumental stair. 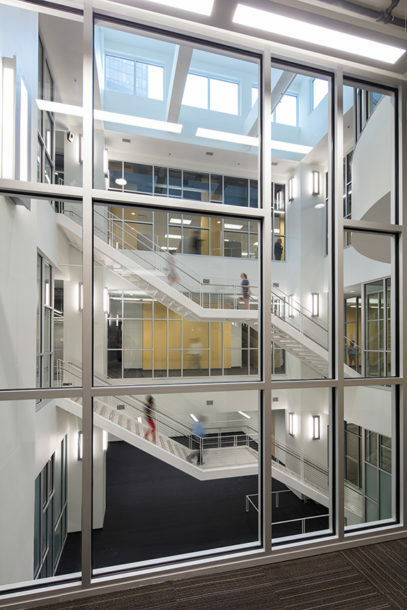 To bring in natural light, a clearstory was installed at the top of the atrium and additional windows were added on the Poydras and S. Liberty sides of the building. New passenger elevators were installed and all building systems were replaced with energy efficient equipment to reduce operating costs. 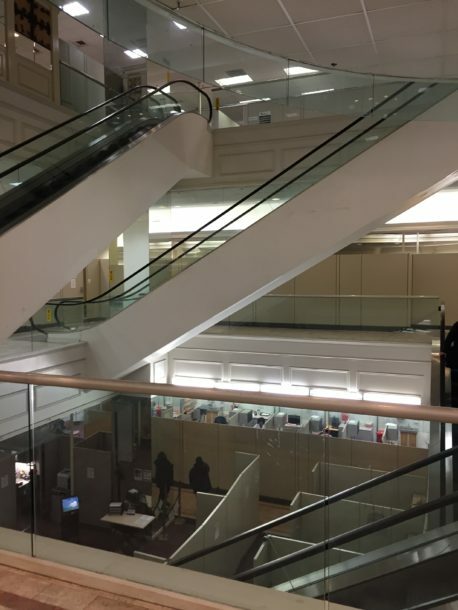 Because of the shared common walls, the Lord & Taylor space was connected to the existing Benson Tower through the main lobby providing efficient access and use by all Ochsner employees and visitors. As part of the project, Ochsner was able to expand the Ochsner Learning Institute located in Benson Tower to include five additional training rooms. As with many New Orleans institutions, Lord & Taylor “Ain’t Dere No More”; however, a vibrant office space has taken its place and Corporate Realty is proud to have played a role in its redevelopment.